Samsung unveiled the Galaxy Note 5 in New York City on August 13, 2015, and the device will be available in the U.S on 21st August 2015. And now the 5.7 inch Samsung Galaxy Note 5 is available in Canada. 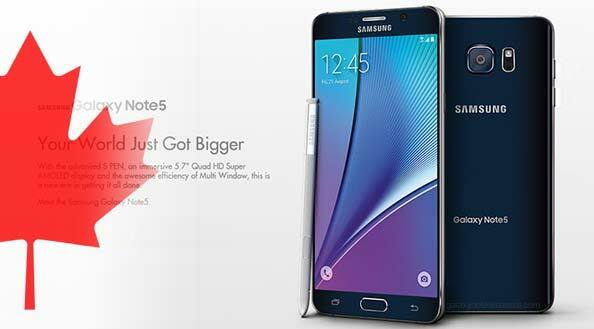 The Galaxy Note 5 can be purchased in Canadian carriers such as Bell, Rogers, Telus, Wind, SaskTel, Videotron and MTS. The price list is for the Galaxy Note 5 with a capacity of 32GB. For the 64GB will soon follow.